Mannington flooring has been around for a while now, and we have seen some pretty amazing products come out of this incredible company. But, do you know that no matter what type of flooring that you are looking floor, Mannington probably has it. We are going to explore the different types of flooring that Mannington offers and tell you a few benefits about each. Laminate – Probably the most popular choice amongst the masses, laminate flooring is one of the most durable and environmentally conscious flooring options available. And this company throws some extra special environmental aspects into the mix. For starters their laminate is 70% recycled content. Impressive to say the least, it also has low-VOC inks and adhesives and it is the only laminate floor certified to FloorScore, which assures good indoor air quality. Their collection of laminate flooring has also won more awards in styling and performance than any other laminate floor product! Porcelain – Ah, the good old days. Porcelain has been a standard in flooring for years. It is fired at higher temperatures than common ceramic, so it is high in density, has less pours, and wears better over time. It is easy to clean, and strong. 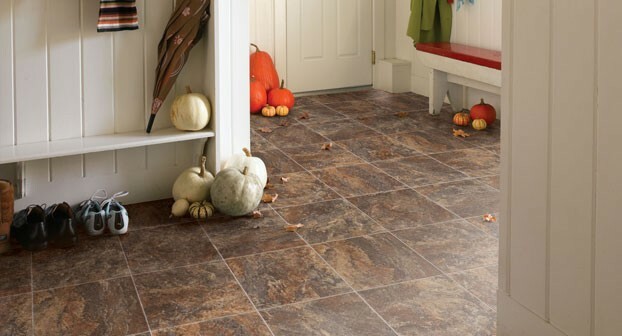 Mannington offers three types of porcelain and each are 30% stronger than granite. Man that is durable! Adura – This is a luxury vinyl, which is taking off in the flooring industry because it provides the look and timelessness of wood, tile, and stone without the upkeep. This amazing product comes in just about any color, style, size, and texture that you can imagine. Adura is engineered to look and feel exactly what you would expect the real product to look and feel like, and it really does. Sobella – This is what we call resilient flooring, but this one is special, it is made from fiberglass. See fiberglass is softer and more flexible than traditional resilient flooring. This makes it very easy to install. Like all Mannington flooring, it does not trap dust, pet dander, or harmful allergens from lingering around. Resilient – Commonly known as vinyl or sheet vinyl. It has been around for decades, but even though the concept is the same, the technologies have changed tremendously. It now contains recycled content, and Mannington has also pioneered the use of ultra-low VOC, water based inks in the 80’s. Hardwood – My personal favorite, Mannington uses engineered hardwoods which is simply real wood made with several layers of wood by being glued together. It may sound a little strange but the result is amazing. The have so many different choices that it would take me several blogs to cover them all.